Good evening all. Tonight I finished up several projects and thought I would share one with you. 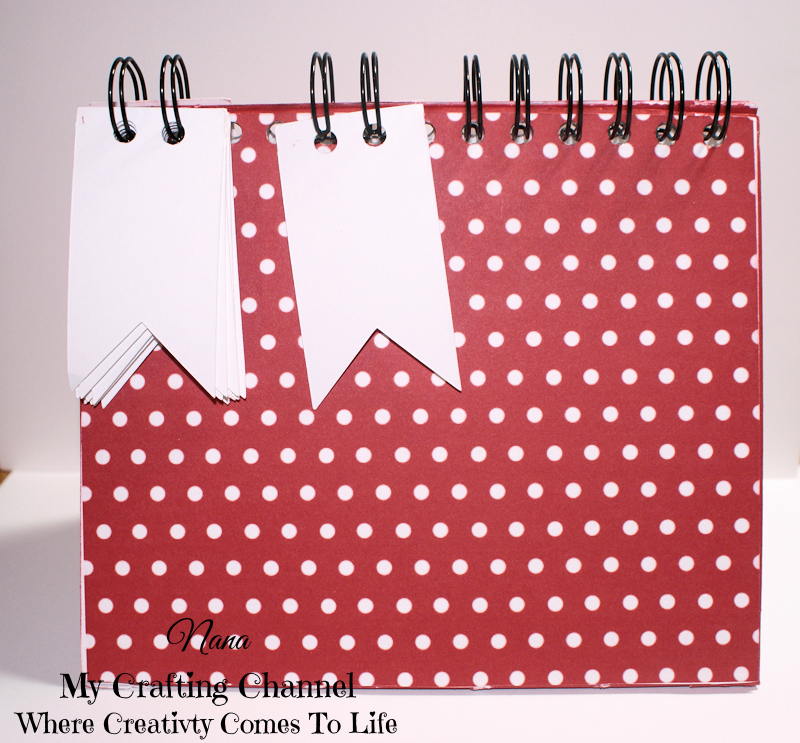 I have been wanting to make several styles of desktop calendars for sometime. So today I whipped one out. 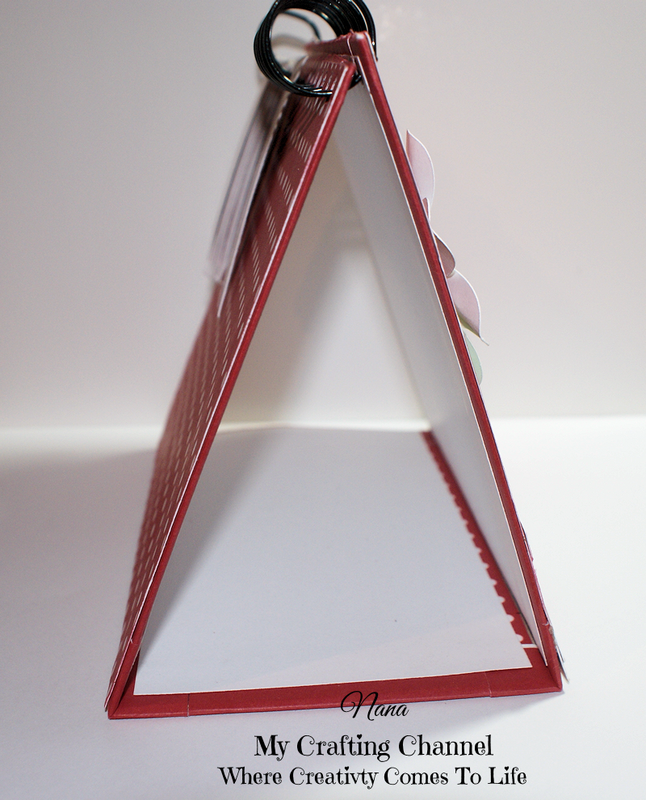 Naturally it is RED to match my craft room and because that's my favorite color. I love how the days flip to the back. 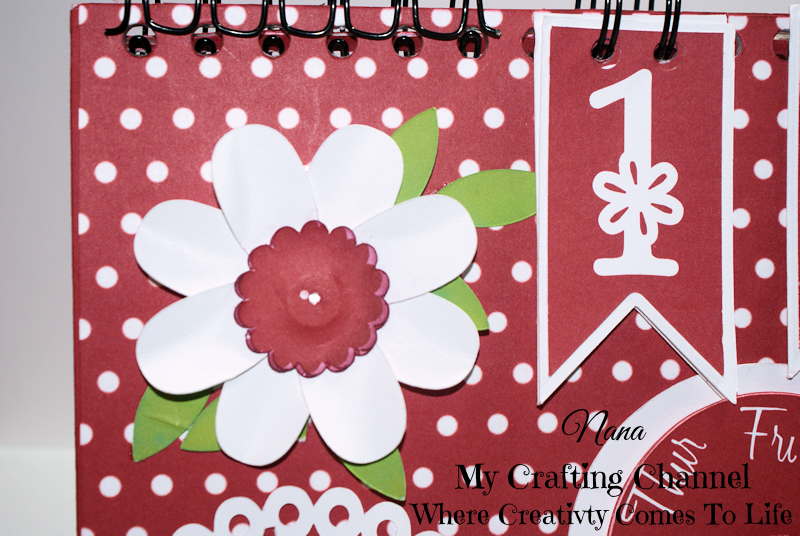 The flower has a magnetic embedded in it and each month is on a white circle that is the flower center with a magnetic attached to the back of them so when I need to change the month I simply pull of the present month and add the new one. The dial for the days of the week spends around allowing me to have the current day centered under the numbers. I really like how it turned out and can't wait to do the other styles. Close up of the flower with the month. Close up of the flower without the month. Love your idea! When I get my craft room cleaned up and put back together I'd love to try. Do you have dimensions? Mimi, just let me know when you are ready and I will be happy to send that info to you. Thanks for your sweet comment. Oh wow, what a great idea for your desk! 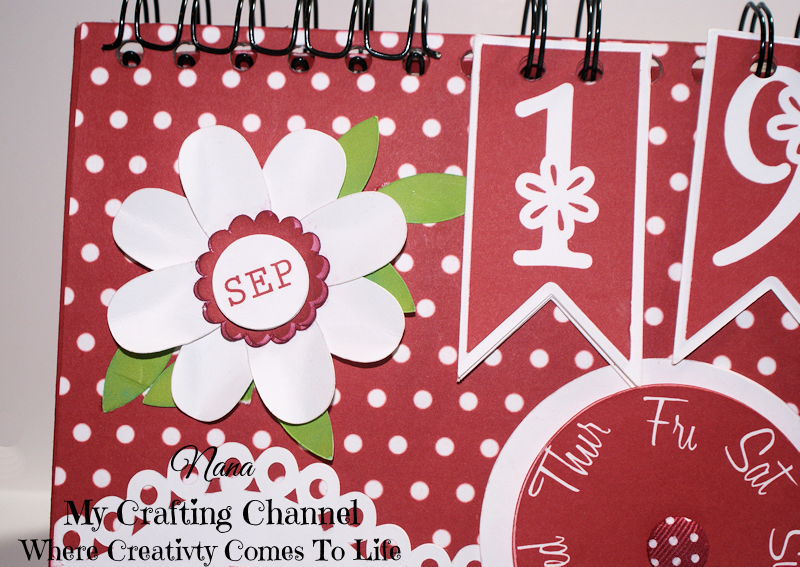 I love how you added a magnetic strip to the flower for changing the months...so fun and I LOVE the red to! Have a super wknd my friend! 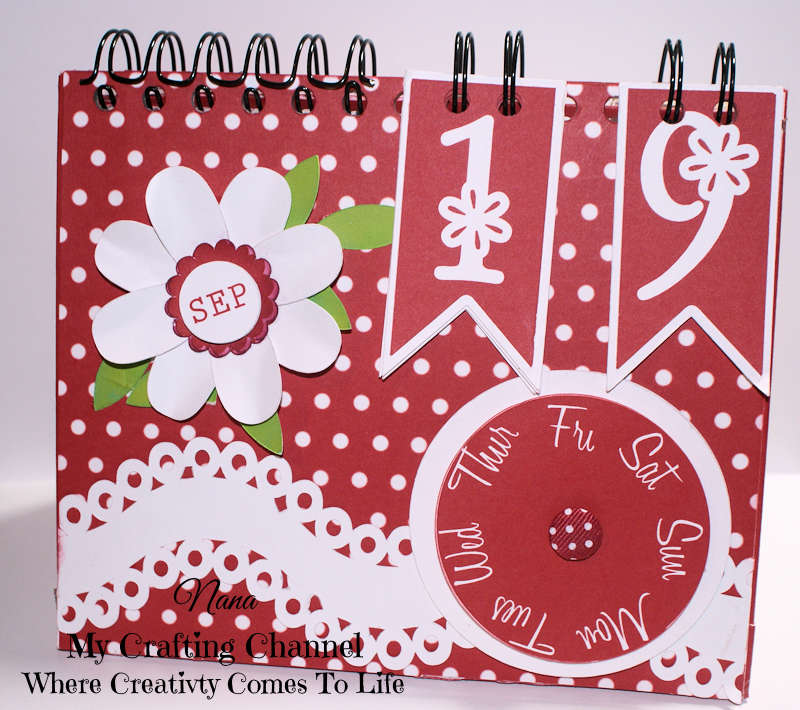 I love this darling interactive calendar! What an awesome gift! Another project I would like to try! This is a Beautiful calendar!! Seriously AWESOME!! I like that it flips!! WOW What a fabulous idea!!! 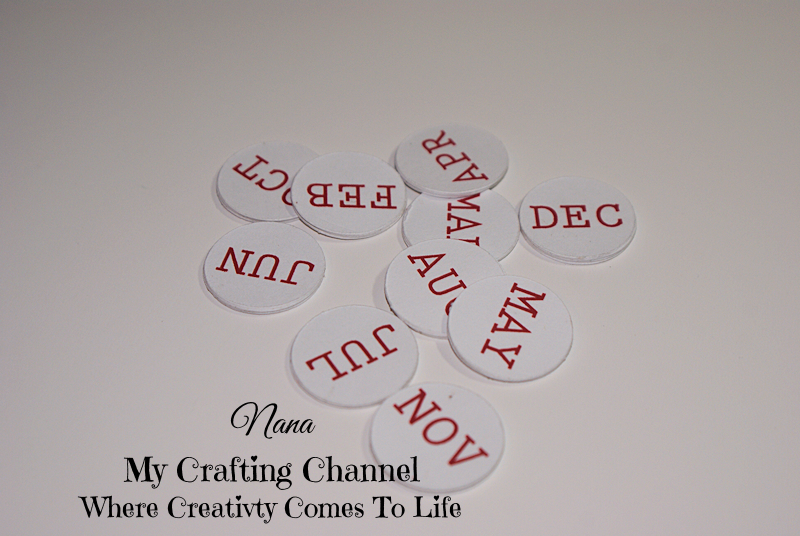 I love the flower with the months and that it flips.... I love it!! Have a great day. Super cute and great idea.... I am going to have to make one of these..... Thanks for joining us over at HIMCR for the challenge this week.